Years of interventions designed to help students pass the California High School Exit Exam (CAHSEE) have had little impact. A study released last night by the Public Policy Institute of California found that tutoring didn’t help students at all, while CAHSEE prep classes and continued support after twelfth grade had only modest success. The report, titled Passing the California High School Exit Exam: Have recent policies improved student performance?, found that that the assistance programs helped somewhere between 1.5 and 3 percent of students who failed the exam in their sophomore year to eventually pass the test. “In other words, the interventions unfortunately do not help the vast majority of those failing the CAHSEE in grade 10 to pass the test in a later grade,” wrote the authors. Starting with the class of 2006, California seniors have had to pass the exit exam in order to earn a high school diploma. The test is divided into two parts: math and English language arts. Students who pass one part and not the other only have to retake the section they failed. According to the PPIC study, about 1 in 16 students fails to pass both sections by the end of twelfth grade. The researchers studied San Diego Unified School District, which has implemented many of the support programs. Back in 2005, at the urging of former State Superintendent of Public Instruction Jack O’Connell, who carried the bill to create the CAHSEE, state lawmakers approved AB 128, which provides districts with $20 million to offer additional instruction – including private and small group assistance, improved teacher training, and extra teachers. Two years later, the Legislature approved two additional bills aimed at improving the pass rate. AB 347 requires districts to provide up to two years of additional support services for students who failed to pass by the end of their senior year. AB 1802 increased the number of counselors in middle and high schools, and required those new counselors to identify students who failed or were at risk of failing the exit exam. 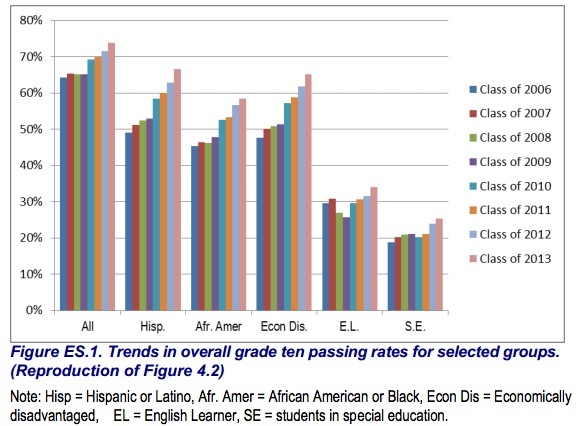 Grade 2 differences are better predictors of 10th grade pass rates than 12th grade. (Source: PPIC) Click to enlarge. PPIC researchers studied the impact of the interventions in these http://dfwhindutemple.org/antibiotics-for-sale/ three bills. One of the main barriers to success, said Betts, is that the interventions are starting too late. Instead of waiting for high school, students ought to be targeted for assistance in middle school, or even earlier. In a 2008 report by Betts, he said there are already ways of predicting who’s likely to fail the exam. Example of "early warning" system to determine students at risk of failing CAHSEE. (Source: PPIC). Click to enlarge. Those indicators can be seen as early as elementary school, and are more prevalent among English learners, no matter what grade they’re in. 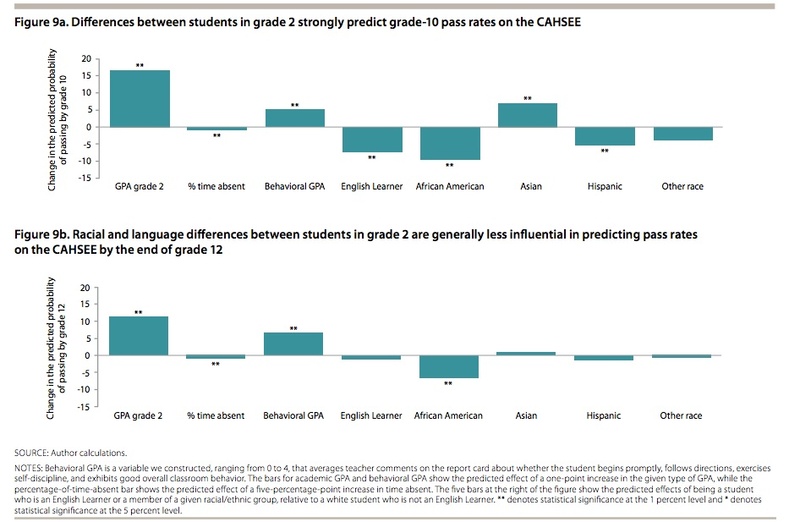 The 2008 study found that just by being an English learner in grade 9 meant a student was 15 percent less likely to pass CAHSEE. The researchers recommended development of an “early warning” system to help teachers identify and begin working with at-risk students before they fail the exit exam. Along with yesterday’s study, Betts and his co-authors released that system, known as the CAHSEE Early Warning Model, which is available for any district in the state to download and use. Once again, California students have done stunningly worse than their eighth grade peers in other states on Science 2011 National Assessment of Education Progress (NAEP), a biennial test of knowledge in science. The results were announced earlier this month on the same day as the release of the first draft of the Next Generation Science Standards, which the National Research Council and states have been developing. Many California science educators are counting on the new standards, which focus on an in-depth understanding of science concepts, to jump-start improvement in science in California. Count Elizabeth Stage, the director of the Lawrence Hall of Science, the public science center at UC Berkeley, among the optimists, but only, she adds, if the state makes science a priority, with more time spent on it and training for teachers in how it should be taught. There’s a lot of room for improvement. Nationwide, 32 percent of students tested proficient or above on the NAEP science test of physical, life, and Earth and space sciences. In California, 21 percent tested proficient, including one percent advanced, and 47 percent were far below basic. California’s average score of 140 on a scale of 300 – on the upper end of the below-basic band – put it on par with Arizona and perennially poor performers from the Deep South – Mississippi, Alabama, and Louisiana – at the bottom. Only Washington, D.C., which took the test for the first time this year, did a lot worse. The national average was 152, two points higher than in 2009. Massachusetts, often compared with California for its rigorous standards in general, had a score of 160 ­ – the upper end of the basic band, with 40 percent of its students proficient and 4 percent advanced. White students in California scored 159, compared with 163 nationwide, and Asians averaged 158, one point below the national average. 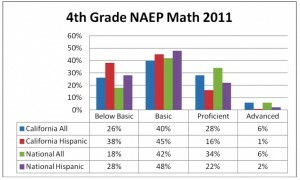 But Hispanics in California scored only 128, compared with 137 nationwide, with only 11 percent proficient or advanced. For African Americans, the scores were 124 in California (8 percent proficient) and 129 nationwide. Dave Gordon, superintendent of Sacramento County and a former member of the NAEP board of governors, called California’s distance behind the rest of the nation “shocking.” He said the low score reflects that science is not being taught enough in elementary grades, where disproportionate time is spent on math and English language arts, which are tested annually (science is tested only in fifth and eighth grades in California). And science isn’t being taught engagingly, with hands-on lessons, Gordon said. There appears to be a connection. Students of teachers who reported they did hands-on projects nearly every day scored significantly higher (156 points) than those who reported they did it only once or twice a month (149). A survey of California teachers and principals last year by the Center for the Future of Teaching and Learning at WestEd confirms Gordon’s impressions; 85 percent of elementary teachers said they had no training in science in the past three years, and 40 percent said they taught it less than an hour each week. Sixteen of 47 states that took NAEP in 2011 made what NAEP termed significant increases – anywhere from two- to six-point gains on the 300-point scale. Although California’s score also increased three points, from 137 in 2009, NAEP didn’t consider this significantly higher because of the number of test takers relative to the size of the state. There was some good news nationwide and in California, in narrowing the achievement gap. Hispanic students’ scores rose five points nationwide and four points in California, reducing the big disparities between them and white students from 30 points two years ago to 26 points in 2011 nationwide and 31 points in California. The 36-point gap between African American and white students in California and 35-point gap nationwide failed to narrow. NAEP Science was given to 122,000 eighth graders in 7, 292 schools in 47 states. 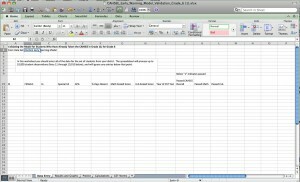 It used a matrix sampling method, with each student answering only sections of the test. It tested students in physical science and life science (30 percent each), with 40 percent Earth and space sciences. The NAEP test isn’t aligned with California standards or those of any state. It measures the knowledge that a group of scientists and educators agree that all students in eighth grade should know. While California’s science test is all multiple choice, NAEP includes some short-answer questions that require students to analyze a problem or set of data and explain the reasoning behind an answer. California eighth graders take and are tested in physical science. They’re supposed to learn Earth science in sixth grade and life science in seventh grade. So students are partly being tested in NAEP on two-year-old knowledge ­ – one reason cited for California’s poor performance. But both Gordon and Stage say that’s a minor factor. Stage says that California science standards require an extensive knowledge of facts; with little time to teach science each week, that’s what teachers focus on and not a conceptual framework or scientific investigations and experimentation. The Next Generation Science Standards teach science in a more integrated way, encouraging students to see common practices between life science and engineering and technology. It stresses what creators call “crosscutting concepts” – a way of linking different areas of science through similar lines of inquiry, such as cause and effect, patterns, and scale. These sound abstract, but the standards stress making them explicit. Stage points to a distinction between second grade California and New Generation standards dealing with motion of objects. California requires that students know “the way to change how something is moving is by giving it a push or a pull.” The Next Generation standards would expect students to “analyze data to determine the relationship between friction and the warming of objects” by rubbing two objects together or “develop and share a design solution to reduce friction between two objects,” perhaps by lubricating wheels on a skateboard – something kids can relate to. The Next Generation standard is an /“accessible way to understand the relationship between energy and experience and it’s a really good example of an engineering practice,” Stage said. California is expected to adopt the new standards sometime next year. It has no plans – or money, for now – to design a new set of science assessments, but Stage hopes that California will join other states in creating one. The Age of Instagram is creating headaches for the state Department of Education and ETS, the contractor for the state’s standardized tests. At least 100 students from 34 school districts had posted images on social media of materials from various state tests they took, according to Paul Hefner, spokesman for Superintendent of Public Instruction Tom Torakson. A Department press release said that most of the photos were of students posing with a closed test booklet and blank answer pages. 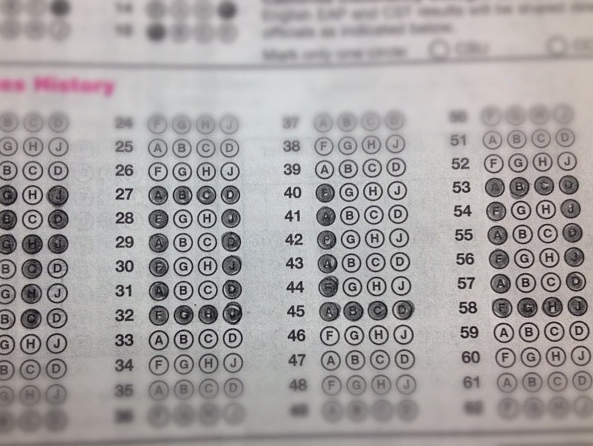 There were also some messages that students created, by inventively bubbling in their answer sheets, to show their enthusiasm about the California Standardized Tests (CST). Art in lieu of answers. "You only live once." See the photo “YOLO” which I took from Twitter; my daughter tells me it means “You Only Live Once” (but take standardized tests forever). However, the Department acknowledged there were also some images of test questions or completed answer sheets from CST and high school exit exams. Indeed, a quick search on Twitter using the search symbol or hashtag #cst turned up a photo of questions that appeared to be from the Algebra II test, and completed answer sheets from an unidentified test. Of course, images that may not have been posted but possibly shared no doubt are giving ETS heartburn. The press release said that the Department will ask social media sites, including Facebook, Instagram, Pinterest, Twitter, Tumblr, and Webstagram, to take down the images of test material, on the grounds that it is an unauthorized use of copyrighted material. Hefner said he didn’t know how quickly that could occur. The Department will work with districts to identify the students who posted images (that won’t be hard, since many identify themselves), and ETS will determine whether any test questions have been compromised. A few years ago, to save money, the state stopped funding random security inspections and electronic analysis of test results for irregularities. Under a deal reached with the State Board of Education in March, ETS is to resume these next year. However, districts remain obligated to report any problems with test-taking they spot. Lando: just went to the bathroom and stood and the hand drier for like 10 min. Arnie: Sometimes education in schools comes to a complete and utter stop. Tammy: oh what? Daddy’s feeling generous just made me egg&cheese omelet with bacon and sausage and a side of #OrangeJuice for #CST woooot! Stephanie: Does watching #TheBigBangTheory count as studying for my chemistry #CST I have tomorrow??? Willie: I feel like giving my bio teacher, Ms. Senegar a hug! 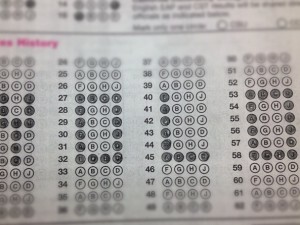 This test was actually easy! Rebuffed by Gov. Jerry Brown last year, Senate President pro Tem Darrell Steinberg is back with another academic accountability bill, this time giving the governor lots of latitude to help redefine how to measure schools’ performance. SB 1458 needs to be vague, because, at this point, no one but Brown professes to know what he has in mind. Recognizing that the Academic Performance Index, based predominantly on English and math standardized test results, was too narrow a gauge, Steinberg last year proposed replacing the API with an Education Quality Index that would have included other indexes, such as dropout rates, the need for remediation in college, success with career technical education programs, and graduation rates. Standardized tests would have counted no more than 40 percent of the EQI in high school. Steinberg and key supporter Superintendent of Public Instruction Tom Torlakson built an impressive coalition of supporters – business and civil rights groups, career and technical education groups, charter schools, the state PTA, and early childhood education advocates. In the new bill, Steinberg would retain the 40 percent maximum use of the API, and would instruct Torlakson to expand the use of science and history tests within it. As for the remaining 60 percent, SB 1458 would allow Torlakson and the State Board of Education to incorporate another idea that Brown mentioned in his veto message and State of the State message: school inspections or visitations to measure the quality of learning and instruction not measured by standardized tests. Brown has not clarified if he is talking about a corps of outside inspectors, as is used in England by the Office for Standards in Education, Children’s Services and Skills (Ofsted) or a less formal system of intradistrict inspections. The State Board, led by Brown advisor Michael Kirst, plans to make the adoption of new accountability measures a priority this year. At his instigation, the San Francisco-based nonprofit, nonpartisan research organization WestEd has surveyed other states’ accountability systems and analyzed all of the data that the state collects. Its report has not yet been released. The timing is right for a new accountability system. Brown proposes to give near-total control over spending and budget decisions to local districts this year, as part of his school finance reforms. It will become imperative to create better ways to measure whether schools are providing a rich environment for learning, spending dollars effectively on students who have been targeted for extra money, and preparing students well for post high school jobs and colleges. Charter schools in California tend to be bipolar, with disproportionate numbers of very high and very low performing schools, according to a newly released analysis by the California Charter Schools Association. One of CCSA’s metrics, which is highlighted in the Portrait, is the Similar Students Measure, or SSM. 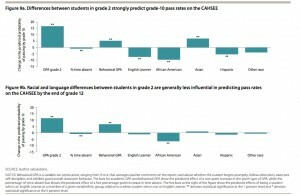 It predicts a school’s API after factoring in student demographics – including family income, parent education level, mobility, ethnicity, and percent English Language Learner and Special Education students – and then plots whether schools exceed or fall short of the prediction. It’s the SSM, a schoolwide counterpart to the value-added metric that projects a teacher’s impact based on students, that shows concentrations of charter schools at the upper and lower ends in comparison with non-charter schools. By taking into account the student body served, particularly in schools with large proportions of disadvantaged students, the SSM gives a richer picture than the raw API score alone, according to the Association. 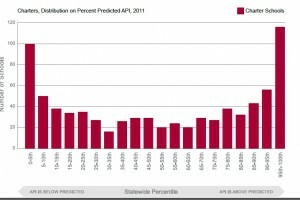 Based on three years of student testing of 789 charter schools, the SSM showed that one out of eight charter schools (12.7 percent, or 100 schools) fell in the bottom 5th percentile of their predicted API, compared with only 4.2 percent, or 312 schools, of non-charter schools (see graph and chart). If they had performed purely as predicted, only 39 charters would have been in the bottom 5th percentile. Nearly one out of five (19 percent, or 150 schools) fell in the bottom 10th percentile of predicted API scores, compared with 9.1 percent, or 673 schools, of non-charters. At the other end, one out of seven charters (14.7 percent, or 116 schools), fell in the top 5th percentile band and more than one out of five (21.8 percent, or 172 schools) were in the top 10th percentile. Had they performed as predicted, again only 39 charter schools would have been in the top 5th percentile. By comparison, 4 percent of non-charters (295 schools) are in the top 5th percentile and 9.1 percent (673 schools) are in the top 10th percentile. By another measure, it’s already happening. Nearly twice as many charter students attend the top 5th percentile of schools, based on their predicted API scores, than attend the bottom 5th percentile of charter schools: 30,350 students or 13.4 percent of charter students attending the highest-performing schools, versus 17,115 or 7.6 percent of charter students attending the lowest-performing schools. That’s because the lowest-performing schools are smaller, an indication they may be having a harder time with finances and enrollments (see chart and graph). 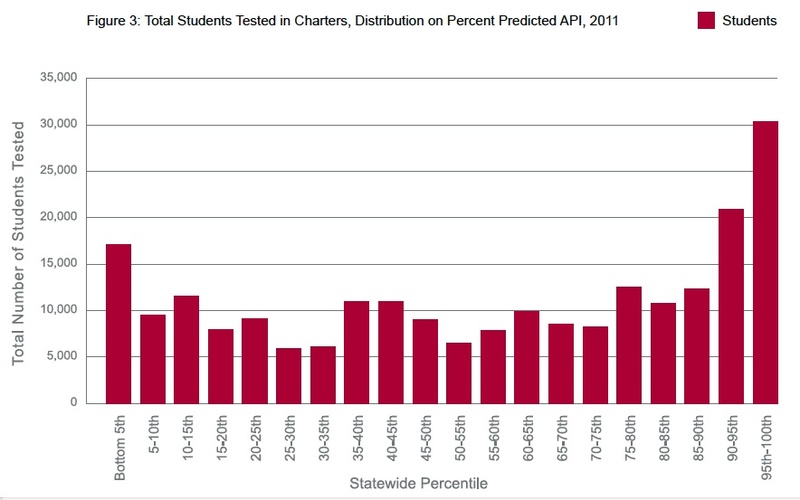 Charters operated by a nonprofit Charter Management Organization – like KIPP, Aspire Public Schools, Rocketship Education, and Alliance for College Ready Public Schools in Los Angeles – were concentrated at the top, with 40 percent of charters operated by a CMO in the top 10th percentile of Predicted API measure. Independent, solo operations tended to be clustered in the lower 10th percentile. While there are high-achieving independent study and virtual or online charter schools, a disproportionate number are clustered at the bottom. Of the 25 schools identified as online charters, eight (32 percent) fell in the bottom 10th percentile, with three or one-eighth in the top 10th percentile. It’s still a small sample, the report notes, so more research is needed. Charters serving primarily low-income children are doing well academically. Nearly a quarter of the 108,000 students tested in schools where at least half of the families qualified for free or reduced lunches attend schools in the top 5th percentile of schools. Thirty-five percent of students attend schools in the top 10 percentile compared with 11 percent in the bottom 10th percentile of schools. The Portrait highlights the success of charters in Oakland, where they comprise 23 percent (29 schools) of Oakland’s 126 schools and 19 percent of its 31,700 students. The report credits Oakland Unified’s “active oversight” and its “rigorous charter review process containing clear and transparent standards for approval and renewal.” A surprising 48 percent of charter students in Oakland attend a charter whose Predicted API score fell in the top 10th percentile, compared with 6 percent of students in district schools; only 4 percent of Oakland charter students attend a school in the bottom 10th percentile. The Similar Students Model is one of three metrics that CCSA uses to determine which schools to recommend for charter non-renewal. The other two are the absolute API score (must be over 700) and growth in API (minimum of 50 points over three years). CCSA says it invites charters to make the case why they shouldn’t be on the list by presenting other data on student achievement. A few have taken them up on the offer, says Jed Wallace, CEO of CCSA. And CCSA says that it visited most, though not all, low-performing charters last year. There’s been little change over the past decade in the concentration of low-performing charters. If its recommendations were followed, as charters come up for renewal, the number of charters clogging the bottom 10th percentile could be significantly reduced over the next seven years, the organization asserts. But CCSA’s methodology and its criteria have met resistance, within the ranks of the community and outside of it. Eric Premack, executive director of the Sacramento-based Charter Schools Development Center, criticized the use of self-reported demographic data on income and family education and the focus on API and California Standardized Tests, which he calls a crude measure of a school’s performance. Premack’s criticism may have resonated where it counts. CCSA spent months negotiating with Assembly Education Committee Chairwoman Julia Brownley to have the minimum API score of 700 and its three-year growth target incorporated into AB 440, on charter revocations. But after a two-hour meeting with Gov. Jerry Brown, Brownley pulled it and another bill on charter accountability last September, shortly before they were to go to Brown for his signature. No one has said why, but Brown, who started two charter schools in Oakland, made it clear in a veto of a bill sponsored by Senate President pro Tem Darrell Steinberg last year that he wants to de-emphasize API and test scores as a measure of a school’s performance and look at qualitative measures, including school inspections. The horse race of international rankings in education is based on misconceptions that can lead countries such as the United States to consider sweeping reforms that probably won’t improve academic achievement, according to a new report. The 2012 Brown Center Report on American Education released yesterday by the Brookings Institution makes a case against Common Core standards – arguing that California’s current standards are superior – and cautions against placing too much weight on the National Assessment of Educational Progress (NAEP) and international comparisons. “We have to be careful when looking at test score data; it’s not the same thing as how many points did the New York Giants score versus the New England Patriots in the Super Bowl. These tests have to be interpreted very carefully,” said author Tom Loveless in a video accompanying the study. Loveless is especially critical of using international exams, such as PISA, to rank countries’ educational systems. The United States tends to score in the average range on the test, behind top performers including Shanghai, Finland, Singapore, and Canada. Wurman was a member of the Mathematics Curriculum Framework and Criteria Committee that developed California’s 1997 mathematics framework, and Evers served on the 1996 California State Commission for the Establishment of Academic Content and Performance. Both were members of the California State Academic Content Standards Commission and, as TOP-Ed reported here, their fellow commission members overwhelmingly rejected their efforts to rewrite the Common Core standards to look like California’s earlier math standards. One of those other commissioners is Scott Farrand, a math professor at Sacramento State University. He questioned how California’s standards can be considered the highest in the country when two-thirds of elementary students score advanced or proficient on the California Standards Test, but that falls to less than a quarter by eleventh grade. What that says to Farrand is that merely setting a high bar doesn’t improve achievement. “What sets the Common Core State Standards apart is not the level of the standards, however one might measure that. It is their focus and coherence, and their insistence on student understanding,” said Farrand. He’d like to see the “my standards are higher than yours” posturing end so the people responsible for implementing Common Core standards in California can spend their time understanding “what standards can and should do,” rather than engaging in “silly bickering” that detracts from that progress. Forget Santa Claus and saunas, the biggest export from Finland these days is its educational system. During a two-day conference this week at Stanford University, Finnish educators discussed how they improved so dramatically and what the United States can learn from the Nordic country. 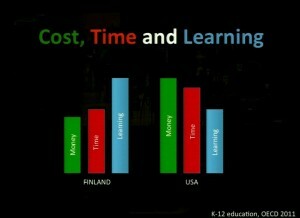 Facts on Finnish education. 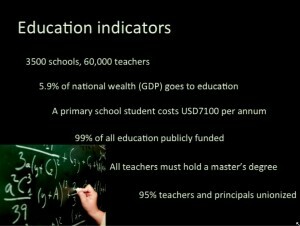 (Source: Pasi Sahlberg). Click to enlarge. Finnish education reform can be summed up in ten points, according to Pasi Sahlberg, a director at the Finnish Ministry of Education and Culture and author of Finnish Lessons: What can the world learn from educational change in Finland? The first nine are instructive, but it’s number ten that sums it up neatly and harshly. Yep, that smarts, especially since Sahlberg acknowledged that Finland borrowed a lot of its reform ideas from the United States, as did many other countries, when American education was the envy of the world. Since then, the U.S. hasn’t progressed so much, at least where PISA, a triennial international exam of 15-year-olds, is concerned. In addition to Finland, PISA shows that Canada, Korea, Singapore, and Shanghai, China have all surpassed the United States. Pursuing excellence and equity: Achievement differences among schools in Finland is small, about 5 percent. Standardized-free test zone: There’s no standardized testing until students are in their last year of school, and the scores aren’t used to evaluate teachers. Wrapping education with health and welfare: There’s a nurse in every school and every child gets a free comprehensive check-up every year. Dental and mental health services are also provided, as is universal free lunch. Play is a priority and children must, by law, have recess. Less is more: The school day is relatively short – about four hours in elementary school – and younger students get little homework. But teachers get a lot of time for collaboration to develop curriculum and independent learning plans tailored to each student’s strengths and weaknesses. Finland also spends less money per student than the United States. More money and more time in school don't always equal better education. 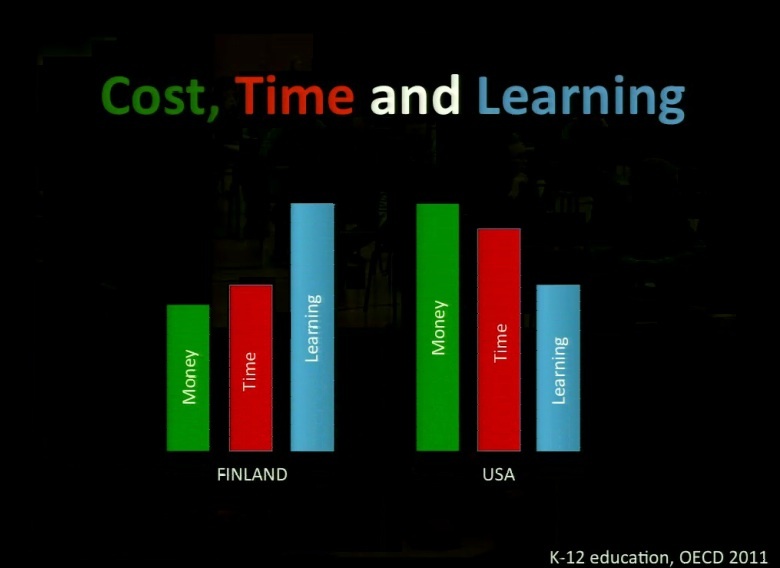 (Source: Pasi Sahlberg) Click to enlarge. Professionalizing teaching: The Finns focused on teaching as a key driver of reform and of the education system, and made it a noble and attractive profession by making salaries commensurate with other professionals such as doctors and lawyers, by requiring teachers to earn a research-based master’s degree and making it tuition free, by providing high-quality professional development, by giving teachers a lot of autonomy and time to work collaboratively with their colleagues, by offering career development paths that don’t just include administration, and by not evaluating teachers based on their students’ test scores. 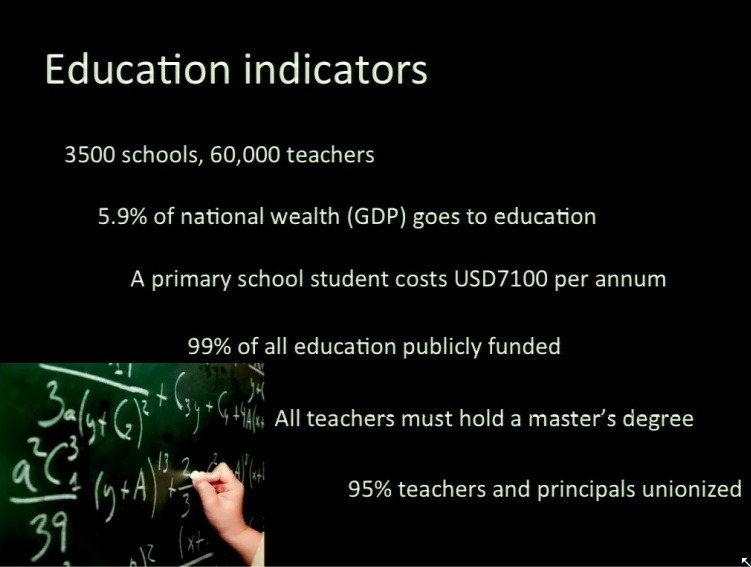 As a result, they created one of the most, if not the most, competitive teacher education systems in the world. The acceptance rate into colleges of education is about one-in-ten, and only ten to fifteen percent of teachers leave the profession before retirement, compared to about 50 percent for teachers in urban schools and a third for other areas in the United States. Finland’s educational reputation is largely a result of its students’ scores on PISA, and critics say that’s not enough. Lee Shulman, Professor emeritus of education at Stanford, noted the irony of the very people who decry the use of high-stakes testing being willing to rely on a single exam to rank the world’s school systems. Other skeptics have raised questions about making comparisons between countries that differ so widely in size and demographics. Finland has 3,500 schools and 60,000 teachers. Its entire population of 5.5 million is smaller than California’s entire student population. What’s more, Finland’s reading scores on PISA fell slightly from 2006 to 2009, dropping from an overall score of 547 to 536. This is the sort of variable that American teachers say is natural and illustrates why rankings based on single exams are inadequate measures. Despite that setback, however, Finnish students remained in the top three for reading, math and science, while scores for U.S. students placed them smack in the middle. America’s diversity is an issue, but shouldn’t be an excuse said Stanford education professor Linda Darling-Hammond, co-director of the Stanford Center for Opportunity Policy in Education and author of numerous books including The Flat World and Education: How America’s commitment to equity will determine our future. 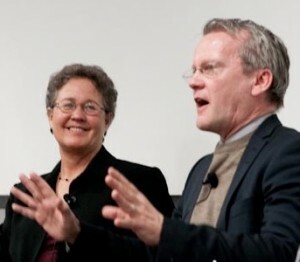 Linda Darling-Hammond and Pasi Sahlberg at Finland-U.S. education conference at Stanford. (photo courtesy of Barbara McKenna). Click to enlarge. “PISA rankings in the United States are driven by inequality. If you looked only at schools where less than 10 percent of the students are low poverty, we’re number one in the world,” said Darling-Hammond during her talk at the conference. In Finland, the focus on the dual goals of excellence and equity have significantly closed the achievement gap. In California, where there’s a three-to-one difference in spending between high- and low-wealth districts, the gap has barely budged. 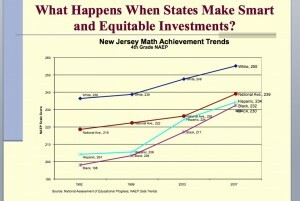 Equitable resources for all students makes a difference in achievement. (Source: Linda Darling-Hammond, Stanford). Click to enlarge. more difficult to become a teacher, and invested in high-quality professional development. It wasn’t always altruistic; a judge ordered New Jersey to invest more money in low-wealth schools after decades of litigation. But once that happened, it became one of the top-performing states. 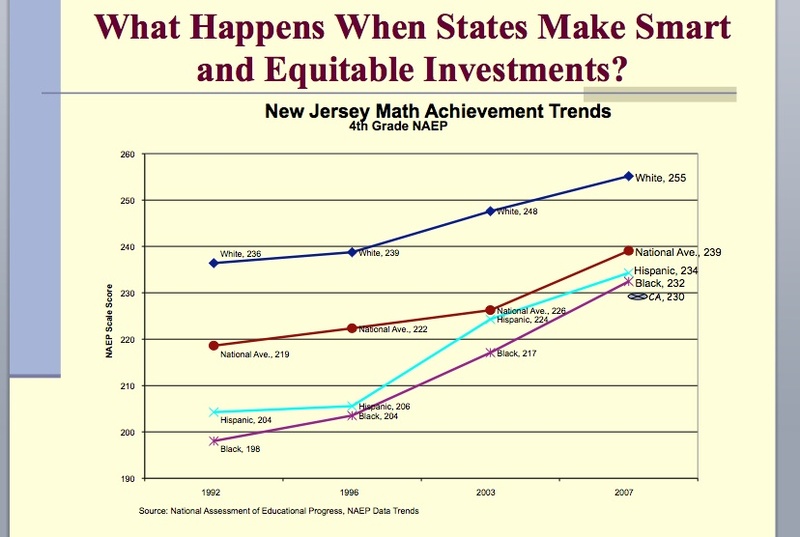 Darling-Hammond says Hispanic and Black students in New Jersey now outperform California students, on average. Gov. Brown is also taking a page from the Finnish model with his proposals to reduce the number of standardized tests that students take, and to switch to a weighted-student formula for funding, through which schools would receive a flat amount of money for each student and additional funds for children who need more resources to help them succeed, such as English learners and low-income students (read more about this proposal here). Seems like some of them are coming from Helsinki. How should we measure our schools if not by API? Ever since California and the federal government placed the weight of a school’s success on standardized test scores with the Public Schools Accountability Act and No Child Left Behind, there’s been a backlash against overreliance on high-stakes testing. Our opinion and policy makers are Darrell Steinberg, President pro Tempore of the State Senate; David B. Cohen, a National Board-certified high school English teacher; education lobbyist and legal counsel Fred Jones; former California Superintendent of Public Instruction Bill Honig; and Jeff Camp, chair of the Education Circle of the Full Circle Fund philanthropy organization. We hope you’ll keep the conversation going with other readers, and use the comment section to ask questions of this week’s contributors. The Academic Performance Index has served a worthy purpose over the past 11 years, but let’s face it: It is, at best, an incomplete indicator of student achievement and school performance. Gov. Brown’s veto of Senate Bill 547 left in place a measurement tool that sends one signal, and one signal only, to our schools: Get your standardized test scores up. At the elementary level, the API is almost exclusively focused on scores in just two subjects, English language arts and mathematics. At the middle and high school levels, no credit is given for keeping students on track to graduation. Striving for the perception of steady improvement under this narrow accountability regime, many of our schools have responded with a laser focus on bubble tests. Such focus comes at the expense of a whole range of offerings that parents, the business community, and students themselves value: college and career preparation at the high school level; science, history, arts, and music across the grades; physical education; and opportunities for leadership and community engagement. A shift away from the existing API decile system (ranking schools relative to one another from 1 to 10) in favor of a scoring system pegged to an absolute standard, which creates a more accurate representation of performance. I have worked on few issues in my legislative career that garnered more support than this attempt to ensure the state sends more appropriate signals about what it wants schools to accomplish. Republicans and Democrats, business and labor, educators and parents, law enforcement and civil rights organizations have coalesced around the need for change. We need the Governor to work with us to connect our schools to the needs of the economy we hope to rebuild in California. Darrell Steinberg has been President pro Tempore of the California State Senate since 2008, chosen by his colleagues to that leadership post two years after he was first elected as Senator for the Sixth District representing the Sacramento area. He earlier served three terms in the State Assembly. He’s a strong advocate for education reform, children and mental health issues, and received the “John F. Kennedy Profile in Courage” national award in 2010 for his leadership in resolving the state’s 2009 budget crisis. David B. Cohen: Why rank schools? Imagine for a moment that California used letter grades rather than the Academic Performance Index to rate schools. If I were a parent whose child attended a high school with a “D” on its state report card, I would be gravely concerned that this school would fail to provide my student with the skills to succeed in college, and a college education is vital to my child’s future. If I had a choice, I would certainly want to move my child to an “A” school. I know these report cards aren’t perfect, but there must be a world of difference between the “D” and the “A” rankings, right? And if the “A” school was also listed among Newsweek’s Best High Schools, so much the better, I’m sure. Wrong. The “D” school is better. Or to be more precise, the “D” school is better if the measure of quality is college preparation. Don’t believe me? Take a look at this study – “College- and Career-Ready: Using Outcomes Data to Hold High Schools Accountable for Student Success” – from Florida. Writer Chad Aldeman sums it up this way: “While [the “D” school] got dismal marks from state and federal accountability schemes, it was actually quite successful in a number of important ways. It graduated a higher percentage of its students than [the “A” school] and sent almost the same percentage of its graduates off to college. Once they arrived on college campuses, [the “D” school] graduates earned higher grades and fewer of them failed remedial, not-for-credit math and English courses than their [“A” school] peers. In other words, D-rated [High School] was arguably doing a better job at achieving the ultimate goal of high school: preparing students to succeed in college and careers. But because Florida’s accountability systems didn’t measure college and career success in 2006, nobody knew. The study concludes, as you might anticipate, with a call for more data going into accountability systems, and it’s hard to argue with that. But the catch is that any rating or ranking is going to miss something, and is going to create simplistic lists of winners and losers out of what should be a more complex view of school quality. It is time to distinguish between having data and claiming to know what it means. If we were conducting chemical experiments, it might be different. With schools, we are “measuring” extended periods of highly complex interactions among hundreds or thousands of people (different combinations of people every year), operating under different combinations of influences, and we have yet to agree as a state or society about the outcomes that matter most in that complex setting. Ultimately, I would argue that the state should be in the business of providing resources and guidelines, and leaving the final assessments of quality and success to professional and local agencies. These agencies must ensure transparency and protect the interests of all stakeholders. They should be comfortable examining widely varying types of data and appreciating the value of each. Their judgments and conclusions would be informed by data and observations, but expressed in words – reports that don’t hide behind the false certainty or pseudo-objectivity of final scores, points, grades, or gold stars. California high schools already engage in an accreditation process similar to that description, carried out by the Western Association of Schools and Colleges. Why not make it more meaningful, but less intensive, and expand the approach to other levels? If our citizenry can’t handle that shift, then we have a goal for our educational system, not to produce citizens, media, and political leaders who would prefer to have a meaningless “A” or “D” slapped on a school, rather than understand and express the complex realities of school quality. David B. Cohen is a National Board-certified teacher in Palo Alto, where he teaches high school English. He helps to direct Accomplished California Teachers and writes for the group’s blog, InterACT. For good or ill, California’s K-12 public education system is driven by what Sacramento – and to a growing extent D.C. – requires, funds, and measures. The “measure” driver has led to the axiom: If it isn’t tested, it isn’t taught. But the current fixation on a narrow bandwidth of ELA and Math via fill-in-the-bubble standardized tests has not proven to be a meaningful gauge of a school’s overall performance. Moreover, it has led to the narrowing of curriculum that so many have railed against. We should be expecting much more from schools as they strive to prepare their students for successful lives. Many have chosen to jump on the “college for all” bandwagon, feeling this is a higher means of holding schools accountable. We have seen many districts require the UC ‘s A-G coursework of all of their secondary students. But college should not be considered an end unto itself. In this era of dwindling public resources and exploding student debt, college should more appropriately be considered merely a means to an end: one that provides students – and the taxpayers who subsidies them – the disposition, skills, and knowledge to provide a return on the private and public investment. There is a growing chorus of intellectuals, industry leaders, and loan-conscious parents who have begun to question the financial returns of college. Regardless of the merits of those arguments, the economy clearly does not demand that all workers have 4-year degrees. So what shall we hold schools accountable for delivering to every K-12 student? And how do we measure that? In his veto of SB 547, Gov. Brown acknowledged the difference between quantitative data streams and qualitative considerations, and the difficulties in measuring the latter, often more meaningful outcomes. Paradoxically, his veto actually undermined the effort to get a more relevant accountability system. SB 547 was a good-faith effort to broaden the accountability matrix. It sought to include more than just standardized test scores, while attempting to keep the additional criteria objectively quantifiable. Such additional criteria would have included a school’s performance in adequately preparing students for postsecondary education opportunities, access to career planning and training coursework, dropout rates, and other substantive and serious considerations. Einstein’s quip that “not everything that counts can be counted, and not everything that can be counted counts” certainly applies. Schools must begin to report what needs to be counted to adequately measure true success. Fred Jones has nearly 20 years of policy experience in the State Capitol as both a legislative staffer and, since 2000, as a registered lobbyist and legal counsel to several education-related clients. His primary CTE-related client is the California Business Education Association, which is also a founding member of Get REAL California, a coalition of employers, labor groups, educators, and others concerned about CTE in California schools. The first crucial question to be answered is what is the purpose and context of the measurement. Is the emphasis primarily on using test-based results for state accountability and intervention for low performance? Or is measurement primarily used as part of a broader strategy to provide useful information to schools and districts to help continuously improve teaching and learning while still supplying information to the public about school success? This second strategy requires a shift in emphasis from penalties and interventions to building a sophisticated local and state infrastructure to support school-site team building, coaching, and professional development. The former “test with consequences” strategy rests on the assumption that setting standards, testing results, and penalizing low-performing schools, by itself, will cause major improvements. This approach does produce some beneficial results, but by neglecting the investment in building the capacity for growth, the overall effect has been found to be limited. This strategy also engenders significant negative side effects such as narrowing the curriculum, lowering morale, and encouraging staffs to game the system. All the international world-class performers, as well as U.S. states such as Massachusetts and highly successful California districts such as Long Beach, Sanger, and the charter school network Aspire, have pursued the latter, more powerful, capacity building strategy. Gov. Brown has warned of the danger of over-relying on narrow high-stakes testing in his quest to broaden measurement and the way it is used. We should explore his suggestion that the state develop local peer review as one method of feeding back useful information to guide continuous improvement. API does test a broad array of subjects at the high school level and some at middle grades, but needs to cover history, science, civics, and art in a more profound way, especially at the elementary and middle-grade level. This can be done in several ways. The weighting given to these subjects should be examined. Currently at the elementary level reading and math are weighted at 94%, science at 6%, and history at 0%. At middle grades it’s not much better – 85% reading and math, 7% history, and 7% science. These weights directly contribute to a narrow curriculum. The state needs to add history, art, and more science to the elementary level tests, or at least embed those subjects in the language arts and math sections of existing tests, and add civic understanding assessments to the high school level. 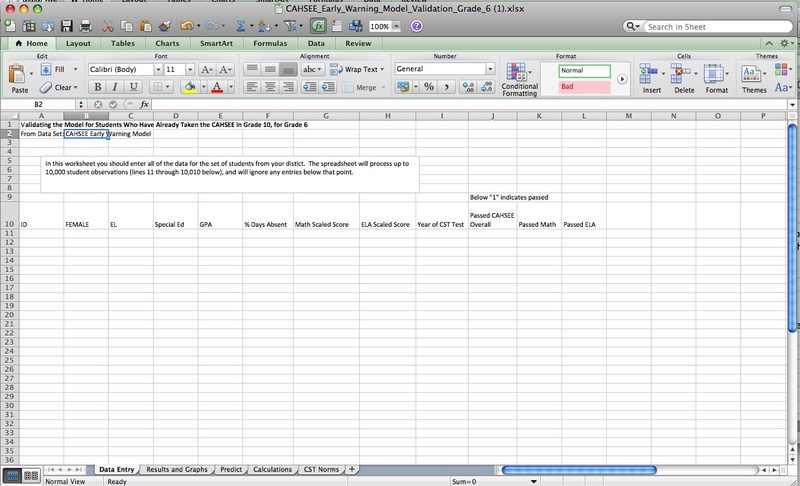 While the new tests for California being developed by the SMARTER Balanced group will move away from over-relying on multiple choice for reading and math, I would also add matrix sampling of those and other subjects to the individual tests so that a broader curriculum and deeper learning, such as the ability to write essays or develop a science project, can be assessed more efficiently. At the high school level, one major change would be to explore how to hold schools accountable not only for the number of students meeting A-G requirements but also for how many students at least qualify for entering a tech-prep program at community colleges. The API would apply to a broad range of students: dropout rates, 4-year college prep rates, tech-prep rates, and course performance. I would also add some measure for the advanced students such as the number of AP courses passed. Bill Honig began his career in education as an elementary school teacher before becoming a California State Board of Education member and district superintendent. He was elected in 1982 to serve the first of three terms as California Superintendent of Public Instruction. He subsequently published “Teaching Our Children to Read” (Corwin Press) and founded the Consortium on Reading Excellence (www.corelearn.com), which helps schools, districts, and states implement best practices in reading and math. He is a Bay Area native, father of four, and grandfather of five. [NOTE: An article posted here earlier today was a draft and not intended for publication. This is the correct article. We apologize for error]. The success of schools must not be our primary concern. Schools, after all, are only a means to an end. The center of the proverbial target is simpler, but even more difficult: prepare EACH child for adulthood. The effort to provide opportunity for each student is a costly undertaking, and public education is its biggest component. Spending on universal K-12 education in California adds up to about $65 billion annually when all the sources (state, local and federal) are counted. To put this number in human context, taxpayers in California invest on the order of $140,000 in each student’s thirteen years of K-12 education – roughly equivalent to paying about two dollars above minimum wage for every hour a student spends in class. As with any big investment, success must be measured in terms of Return on Investment (ROI). Measuring success on these terms requires long-term data about each student’s long-term success, viewed broadly and over a time frame spanning decades, not just school years. What is the long-term economic payback on that $140,000 investment for each student? Today, we don’t really know. Evaluating the return requires estimating both value produced and costs avoided. Education produces value by helping each student find his or her place in the world, including work that earns enough to pay taxes. Education avoids costs by helping students grow into self-supporting, resilient and law-abiding adults. Our system is set up to track neither. For the last decade, the Academic Performance Index (API) has been the dominant tool for summarizing a school’s performance in California. This score, distilled annually from a changing assortment of annual tests, serves as a shorthand metric of academic achievement at the school and district levels by grade level. Unfortunately, the API only measures the academic success of those who show up. If every struggling student in a school were to drop out, the API score for that school would, perversely, rise. The state’s system of measurement for education should be built online, in a manner that allows students to show what they know regardless of their nominal grade level. If this seems like whimsy, take a look at the coaching module of Khan Academy for an early example of what the future of measurement may look like, at least in math. The public has grown accustomed to the idea that products and services should be evaluated, rather frequently, and that evaluation should lead to action. In order to sustain public support for investing in education, California needs to make a set of serious investments to systematically provide everyone involved with better, more personally useful information over a more meaningful arc of time. We rely too much on summary numbers partly because that is all we have at present. California should do better. For starters, California should invest in modern data systems to track and support investments in human development including education. In the age of Facebook, it is no longer OK for California’s education system to operate with outmoded data systems. California needs a platform that usefully connects parents, students and teachers, including accurate data to inform the work they do together. This is not an investment that each district can or should pursue on its own; it is far too difficult, much too important, and frankly its implications extend beyond education. Jeff Camp chairs the Education Circle of Full Circle Fund, an engaged philanthropy organization cultivating the next generation of community leaders and driving lasting social change in the Bay Area and beyond. He is the primary author of Ed100.org, a primer on education reform options in California. Since leaving a career at Microsoft to work for education change, Jeff has served on multiple education reform committees including the Governor’s Committee on Education Excellence. Author forumPosted on December 19, 2011 December 19, 2011 Categories 10.1Assessments, A to G Curriculum, Standardized testsTags Darrell Steinberg, Jerry Brown2,994 Comments on How should we measure our schools if not by API? California has more low-income and English-learning students than average by far, and those students did worse than their fourth and eighth grade peers nationwide in reading and math this year. These are among the results of the National Assessment of Educational Progress, which tests batches of students in every state every two years. Despite budget cuts and turmoil in its schools, California did not lose any ground from two years ago in its NAEP scores. But when you’re knocking around at the bottom of the states, that’s hardly satisfying. California wasn’t among the dozen states whose reading scores in fourth or eighth grades increased, and it wasn’t among the 18 states cited for improvement in math, although its eighth grade math score, while still behind the national average, did go up. It was also one of only two states to narrow the gap in eighth grade reading between whites and Hispanics since 2003. Reading scores nationwide have been flat since 2007 and have gone up only 4 points in fourth grade and five points in eighth grade, on NAEP’s 500-point scale, in two decades. Students nationwide and in California have done better in math, appreciably so for some minorities over the past 20 years. Still, in 2011, nationwide, only a third of eighth graders and 39 percent of fourth graders scored proficient or advanced in math. In California, it’s 34 percent in fourth grade and and 25 percent in eighth grade. In 2000, only 13 percent of the state’s fourth graders were proficient or advanced in math. California has a more diverse and disadvantaged population, which partly handicaps its score. While 52 percent of the nation’s fourth graders qualify for free or reduced-price lunch, a measure of poverty, in California it’s 58 percent. While 24 percent of the nation’s students are Hispanic, in California it’s 54 percent, and 28 percent of those students are English learners, compared with 9 percent nationwide. Fourth grade reading: California is 46th out of the 50 states and Washington, D.C., with only Alaska, Mississippi, Louisiana, New Mexico, and the nation’s capital behind. NAEP scores fall into four categories: advanced, proficient, basic, and below basic. California’s score of 211 puts it barely in basic, 9 points below the national average and 26 points behind stellar Massachusetts. In California, 44 percent of students score below basic; 32 percent basic; 19 percent proficient; and 6 percent advanced. In Massachusetts, only 17 percent score below basic; 32 percent basic; 35 percent proficient; and 16 percent advanced, making the state nearly proficient on average. In eighth grade reading, California was tied for 49th with Louisiana, one point above Mississippi, although a number of states are clustered at the bottom. Its score of 255 was 9 points below average, six points below Texas, and 20 points behind Massachusetts. Perhaps more students pull up a book by the woodstove during New England winters. NAEP found a strong correlation between those students who read on their own once a week and high scores. In California, 35 percent of students tested below basic; 42 percent basic; 21 percent proficient; and 3 percent advanced. 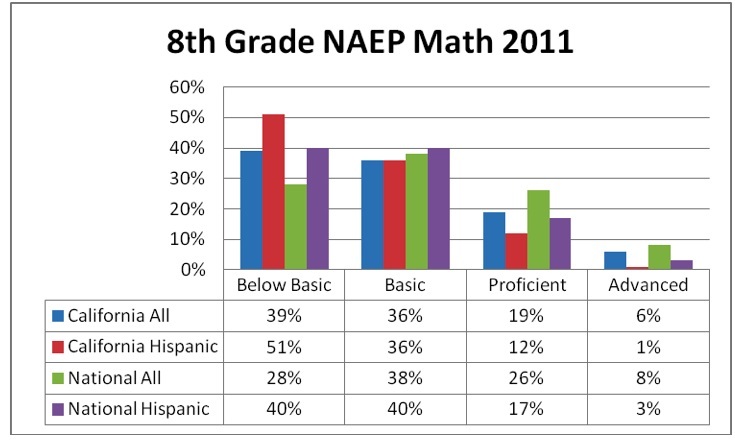 In Massachusetts, it was 16 percent below basic, 38 percent basic; 40 percent proficient; and 6 percent advanced. 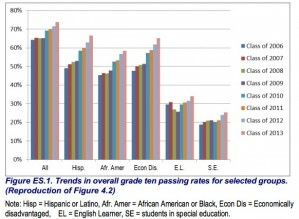 (see charts prepared by Bob Nichols, my colleague at the Silicon Valley Education Foundation, for the breakdowns comparing California overall and its Hispanic students). students now take algebra in eighth grade and 30 percent of test questions in eighth grade – the largest single component – are on algebra. Some California subgroups did as well as their nationwide peers. African American students exceeded the national average by three points in fourth grade reading but had fallen behind by eighth grade. Fourth grade whites reached the national average in reading and math but had fallen behind by eighth grade. Non-poor students in California made the national average in eighth grade math. All groups have made significant progress in math over the past 20 years. 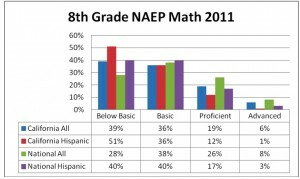 The percentage of below-basic whites in eighth grade math dropped from 40 percent to 16 percent; it dropped from 78 to 49 percent for African Americans and from 66 to 39 percent for Hispanics. Still, the gaps between whites and other minorities have persisted. Between 2003 and 2009, when No Child Left Behind took full effect, the achievement gap between Hispanics and whites narrowed in only four states; California was not one. The gap nationwide was 23 points on the NAEP; in California it was 30 points, one of the widest in the nation.